The Romantic Road. Those three words conjure up images of fairy tales, charming hamlets, and the best villages in Germany. For years, despite numerous trips to Germany, I’ve avoided what is arguably the best known holiday route in the world. I had a lot of preconceptions about the German Romantic Road – some were true and some were just legends. One thing is for certain, The Romantic Road in Germany was a complete surprise. At the outset, let’s be clear about one thing–I have heard all the stories of the giant motor coach buses packed with 50 people all tumbling into towns and tripping on each other’s feet. Many German guidebooks no longer even mention this famous route, or it is relegated to a small side trip from either Frankfurt, Munich, or Nuremberg. In some guidebooks, it might be mentioned as a scenic Frankfurt to Munich drive, but that’s about it. If you believe the hype, this route was a slick 1950’s marketing initiative that is hanging on for dear life. And the Internet would have you believe that the Romantic Road tour is dead. Rumors of the Romantic Road’s demise are not well founded. Sure, there are still tons of tour companies offering the trips, mostly to older folks. 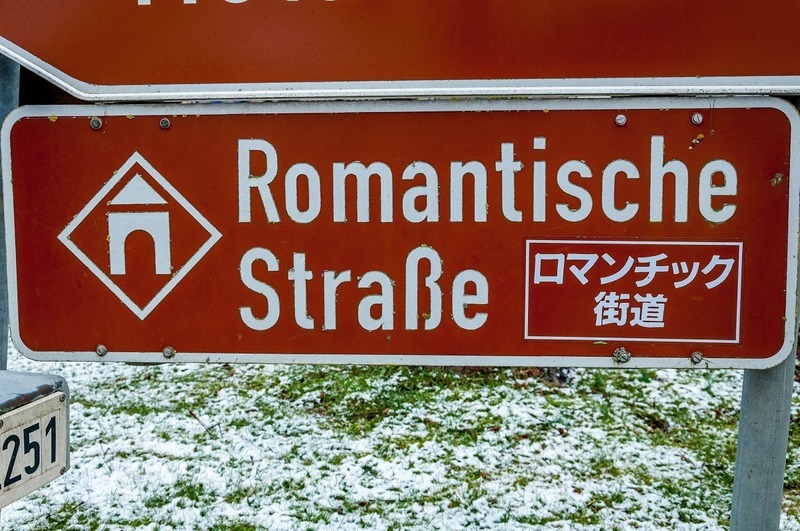 And, after German, the second language along the route is quickly becoming Japanese instead of English (signs will say “Romantische Straße” in German and “ロマンチックな道” in Japanese). But The Romantic Road can still hold a tremendous amount of appeal if you rent your own car and see the sites on your own. Striking out on Germany’s beautiful road system, you can cover the 255 mile (410km) route in a nice 4-5 days. Even better, while on your own, you can miss much of the congestion of the Romantic Road coach tours. If you plan on seeing the Romantic Road, you have five travel options. We’ve ranked them from easiest to most difficult. The best, easiest, and most rewarding way to experience Germany’s Romantic Road is by driving yourself. This will give you a chance to explore the best small cities in Germany at your own pace. The route is 255 miles and makes a perfect five-day drive (see our Romantic Road itinerary below). 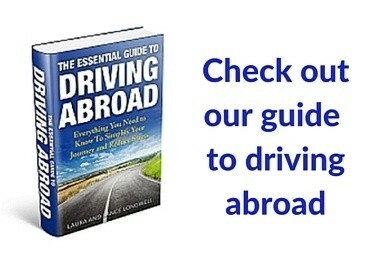 If you decide to rent a car, we recommend getting a copy of our book, The Essential Guide to Driving Abroad, before you go. We encourage people who will be driving the route to use this price comparison site for your auto rental. From mid-April to mid-October, a private bus company called Deutsche Touring operates the Europabus (commonly called the Romantic Road Coach or Romantische Straße Bus). The bus makes completes the entire length of the Romantic Road in one full 13-hour day. You can ride the bus start to finish…and you won’t see much of anything. 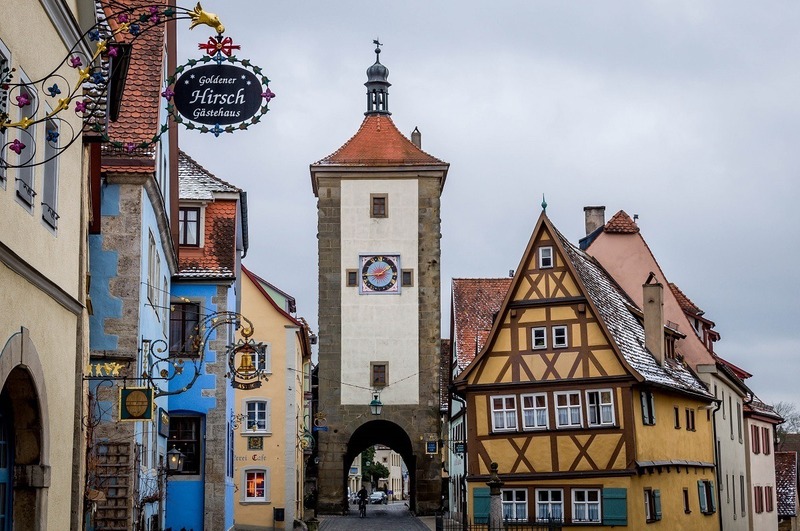 To do this romantic route justice, you’ll need to break the trip down into a multi-day Romantic Road itinerary that will allow you to see some of the beautiful small towns in Germany. For practical planning, the Romantic Road Classic Tour bus departs Frankfurt am Main at 8:00am heading in a southbound direction. A second bus, called the Romantic Road Express, departs Fussen at 8:00am heading in a northbound direction. Buses can fill up quickly, so be sure to book your trip in advance. The price for the one-way trip is €108 one-way, which includes a free audioguide. Round trips are offered, but aren’t really unnecessary. Just go one-way and then take the train back to your starting point. If the bus is approach, you can book your bus tickets here. The Romantic Road bus makes several photography stops along the route for picutres. Those stops are: Würzburg, Weikersheim, Rothenburg, Feuchtwangen, Dinkelsbühl, Nördlingen, Augsburg, and Wieskirche. The train is a great way to see Germany. Unfortunately, the Romantic Road by train is a lesson in frustration and complexity. There is not a train route the connects the entire Romantic Road in Germany. It is possible to take the train and see several sections of the route, but the entire route is impossible. Many of the best towns in Germany on the Romantic Road are accessible via train, however, they just don’t connect together very well. Germany’s national rail service has high-speed train stops (the ICE train) in Wurzburg, Donauworth, and Augsburg, and other cities have decent connections. Because of the limited train service along the entire route, we would not recommend seeing the Romantic Road by train. Germany has created the D9 Romantic Road long-distance cycle route that follows the entire length of this famous route. 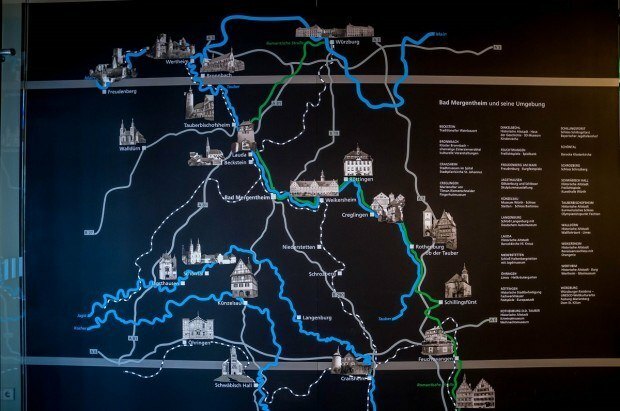 The ideal Romantic Road cycling route visits the same beautiful small cities in Germany as the self-drive itinerary or coach route, but without as much of the traffic. In fact, along parts of the route, a separate bike path parallels the road used by cars and buses. The route has been conveniently signposted along way. Most cyclists generally ride the Romantic Road from north to south (from Wurzburg to Fussen). While there is a minor elevation gain in this direction, cyclists will not encounter any mountains or significant hills. The main reason for riding south is that the wind will be primarily at your back. One small suggestion, cyclists may want to plan an extra layover day in Rothenburg, the famous walled city in Germany. If you’re serious about cycling the Romantic Road, we recommend breaking the trip up into seven days and following the stages recommended on this website. Yes, it is possible to hike the Romantic Road! Walkers on this historic route should generally follow the same route used by cyclists. A Romantic Road hike can theoretically be done in as little as six days, we recommend taking a full 10 days to enjoy the prettiest cities in Germany which line the route. 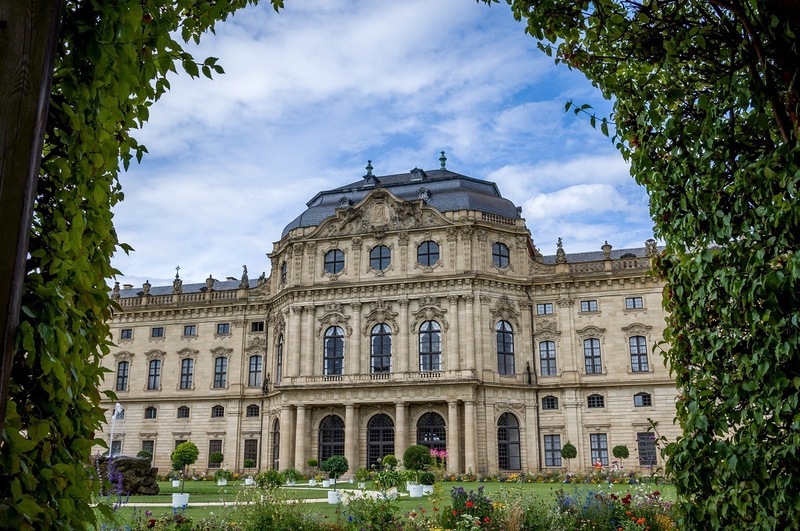 Wurzburg is the start of the Romantic Road in the north. 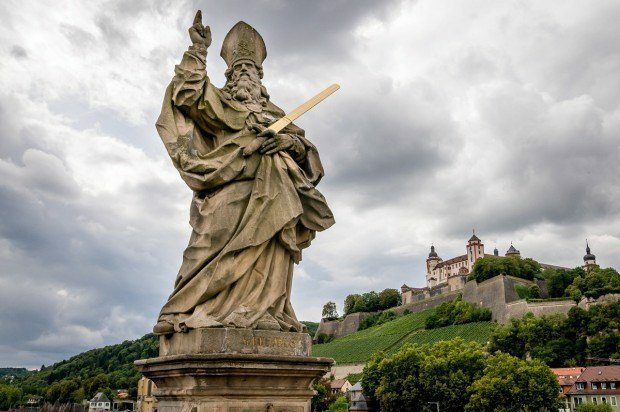 Located half way between Frankfurt and Nuremberg on the banks of the Main River – an important trade route – Wurzburg is the heart of the Franconia wine district. The city’s compact center makes for an ideal self-guided walking tour seeing everything from the Marienberg Fortress to the Prince Bishop’s Palace (Residenz) in a half-day. I’d recommend seeing Wurzburg in the afternoon before setting off on your adventure the next day. This was the one actual disappointment. From our perspective, there’s not much to see here and the time is better spent in Wurzburg or one of the other Romantic Road towns. 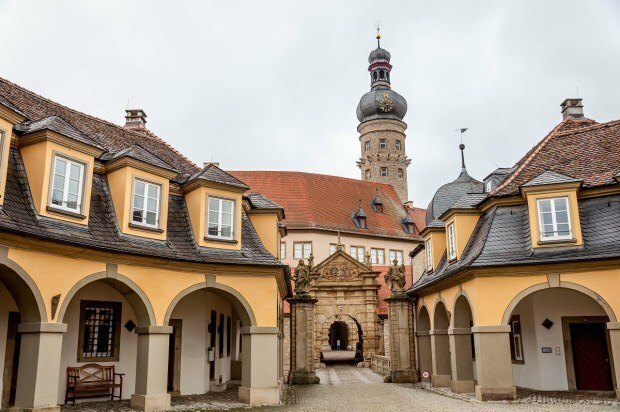 For Romantic Road visitors, Bad Mergentheim is a big hit. I’d never heard of this town until I stumbled into it. For centuries, the healing mineral waters of the town have helped restore health to visitors. The town is also known for being the home base of the Order of Teutonic Knights. Since the 12th Century, this German-Catholic organization was part crusade machine, part charity. The castle and museum are exceptional, and the half-timbered houses rival any we’ve seen in Germany. This small village in Germany is defined by the Weikersheim Palace, a grand Renaissance-style palace currently used for summer concerts and other artistic performances. The entire village is surrounded by vineyards and has a large market square. It’s also skipped on a lot of Romantic Road tours, so if you make the effort, you can have the town to yourself. There’s not much in tiny little Creglingen except for a handful of half-timbered houses and a beautiful church. The church in Creglingen also has an altar by German-master Tilman Riemenschneider. If you don’t want to deal with the crowds in Rothenburg o.d. Tauber, you can have the chapel in Creglingen to yourself. We also found the small shops in town to be the perfect place to do a little grocery shopping and get something to eat – all in a completely local ambiance. Creglingen doesn’t get the same number of tourists as other cities on Germany’s Romantic Road. Over two million visitors pack the streets of Rothenburg ob der Tauber every year to see one of Europe’s best preserved medieval cities. Rothenberg is certainly one of the best small towns in Germany (and definitely one of the best walled cities in Germany). Despite being on the wrong side of the 30 Years War, the city escaped damage, but was driven into poverty. And since there was no money for development, the town was preserved. Rothenberg is a great spot to over-night on the Romantic Road with a number of great inns and B&Bs. The town has a number of great museums, the views from the city’s walls are magnificent, and the tasty Schneeballen pastries are a delight. Rothenburg ob der Tauber is fairy tale perfect! The circular city of Nördlingen is one of Germany’s best walled cities. Dotted with red roofs and half-timber homes, this town is seriously cute. Visitors here flock to the St.-Georgs-Kirche (St. George’s Church), a church dating from medieval times. However, the city hides an incredible secret. Starting with the city’s foundation in the 9th century, citizens looked to the surrounding landscape for inspiration and construction materials. It was believed the city was built into a circular depression left by a volcano. However, in the 1960s the real reason behind the city’s unique shape was discovered: the town was actually built into the 1-kilometer crater left by a meteor. When the asteroid impacted the Earth, it created a material called suevite, a rock that includes glass…and diamonds. Nordlingen is surrounded by millions of diamonds (over 72,000 tons of diamonds). Those diamonds were built into buildings. The St. George’s Church alone contains over 5,000 carats in diamonds! This makes Nordlingen one of the most unique Romantic Road cities. 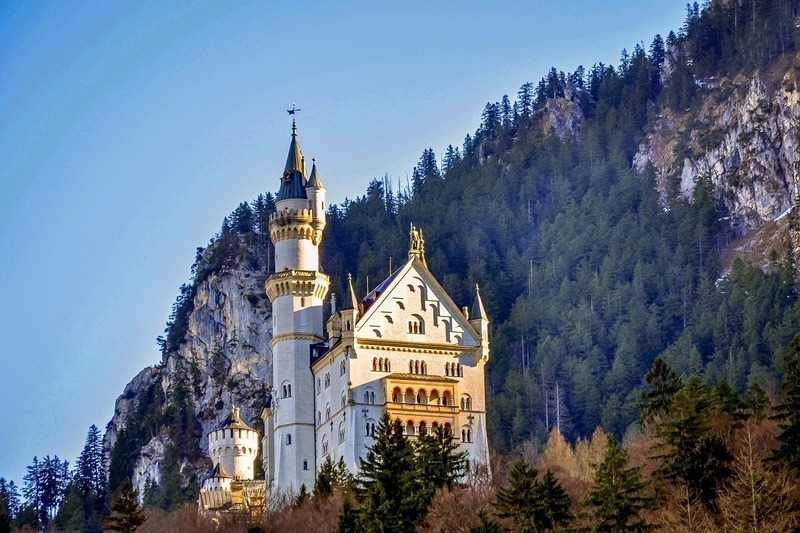 The most iconic image of romantic Germany comes from tiny little Schwangau of the towering Neuschwanstein Castle above. This is Mad King Ludwig II’s unfinished masterpiece that inspired Walt Disney and also housed stolen art from France during the Nazi period. This is the quintessential “Romantic” building in Germany! The Romantic Road ends in tiny little Füssen, Germany. One of my fondest memories of my first trip to Europe over 20 years ago was coming to Füssen late one night in a terrible rain storm. I’d heard about this town and the famous Fussen violin industry. I left with an appreciation of Germany’s small towns and villages – a love affair that continues to this day. Many visitors to Southern Bavaria rush through Füssen en route to Neuschwanstein, but this little village captures the heart of all who stop. Füssen has a number of hotels and B&Bs, making it a great place to stay at the southern end of the Romantic Road. If you’re going to follow in our footsteps and do a self-drive trip, we recommend spending five days on the Romantic Road. Here’s our suggested itinerary. This can be shortened or lengthened depending on the amount of time you have. Spend the day seeing the Marienberg Fortress, the Prince Bishop’s Palace (the Wurzburg Residenz), and the Alte Mainbrucke. Stay at one of the Wurzburg hotels. Leave Wurzburg in the morning and explore the Tuaber valley. 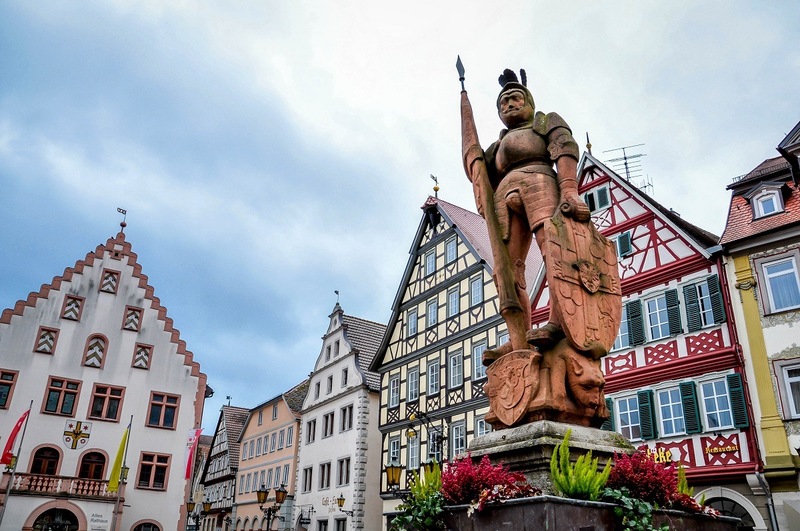 Be sure to stop in Bad Mergentheim and Weikersheim before arriving in Rothenberg before dinner. Take in the Nightwatchman Tour. 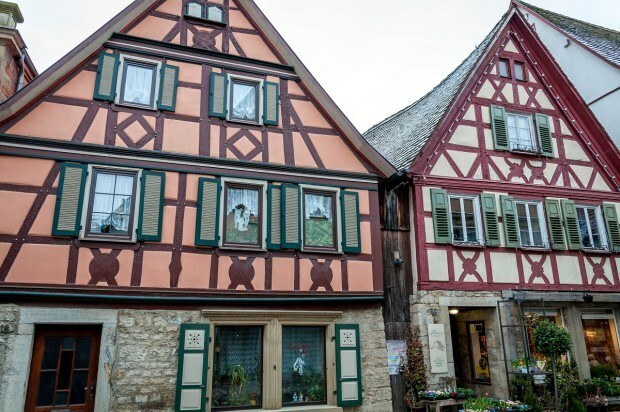 Spend the night at one of the Rothenburg hotels. 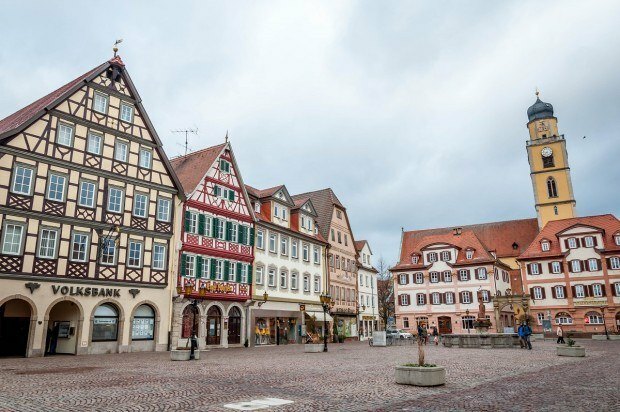 Take a leisurely day to drive through the villages of Schillingsfürst, Feuchtwangen, and Dinkelsbühl, before arriving in the diamond city of Nördlingen. Spend the night at one of the Nordlingen hotels. Visit the charming village of Donauwörth before arriving in Augsburg, the third largest city in Bavaria. In the afternoon, be sure you get to Steingaden for a visit to the Wieskirche (The Pilgrimage Church of Wies), a UNESCO World Heritage Site, before arriving in Fussen. Many visitors to Fussen rush on to the famous castles, the town is worth exploring on its own. There are a number of excellent hotels and inns in Fussen. 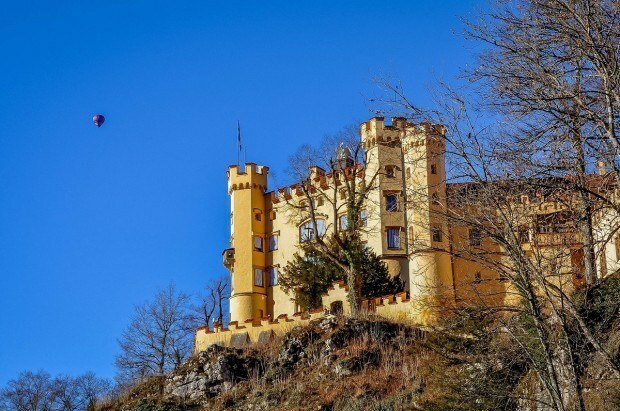 Spend the entire day based around the tiny village of Schwangau and visit the Neuschwanstein Castle and its cousin the Hohenschwangau Castle. In the evening, head on to one of the hotels in Munich. 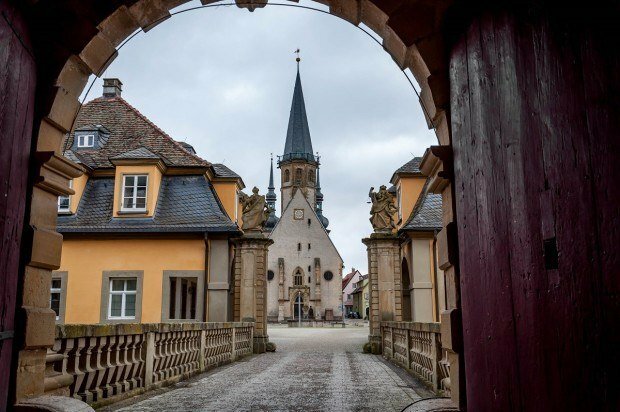 What’s your favorite place on the Romantic Road? What to do on a Perfect Weekend in Ghent Beyond the Big Cities: A Central Texas Road Trip 2018 — A Year in Travel Photos Ghent or Bruges — Which Belgian City is Best for You? 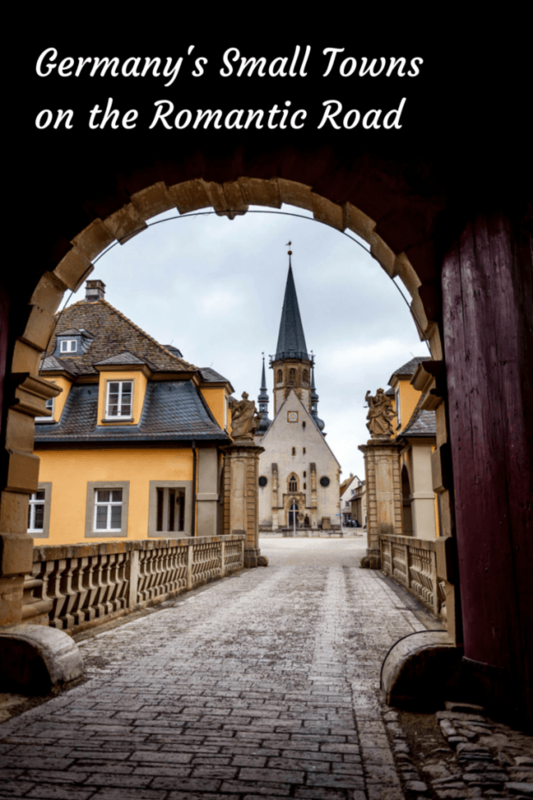 What do you think about The Best of Germany’s Small Towns on The Romantic Road? Gorgeous photos of some small towns. Seems like one (I, especially) could explore there for a long time. All those little towns look so charming, and I love the idea of bypassing the tourist crowds and having them all to myself. Definitely a road trip to consider! I totally fell in love with Rothenburg ob der Tauber! I loved the Nightwatchman’s Tour and the Christmas store, but not so much the sneeballens. I’d love to go back! I actually tried the Schneeballen twice. The first time was excellent (it was a heavy chocolate dipped one), but the second time was OK (powdered sugar). They are definitely something every visitor should try! While I haven’t explored any of these, my favourite German small town is Tubingen! So excited to be travelling the Romantic Road in October. Swoon! 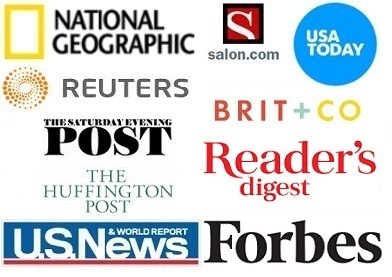 Many thanks for this highly informative article. Just arrived from a 2-week memorable countryside tour of the Romantic Road in Bavaria, and Heidelberg and Freiburg in the Schwarzwelder region of Baden-Wurttemberg. Stayed in Konigshofen, Burk and Gaisbach in Kunzelsau with friends in their old houses. So many interesting places and their historic significance. 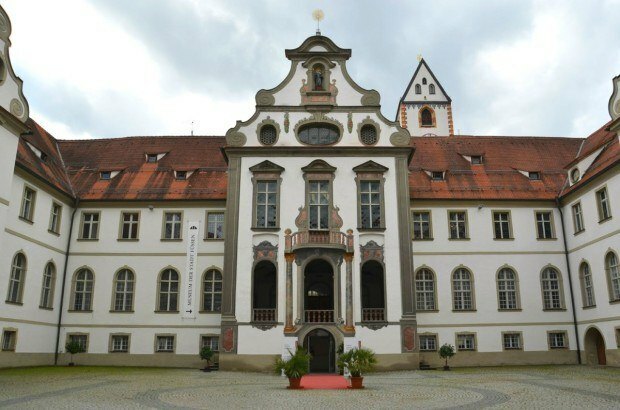 Must see are Merkendorf, Schwabisch Hall and the Hohenloher Freilandmuseum. Of particular interest to me were the old Lutheran churches, Franconian brauereis and authentic Bavarian food.